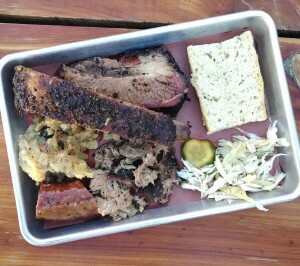 Franklin BBQ definitely changed the BBQ food game in Austin creating a renaissance of the food since 2009 offering melt-in-your mouth BBQ that one previously had to travel to outside the city limits for. Unfortunately, the name has also become synonymous with excruciating wait times, and an overall tourist trap. No one should really be waiting 4 hours for food unless you’re in an emergency situation no matter how good it might be. People know Salt Lick, which is decent, but doesn’t come close to the perfection that exists in BBQ from Texas. Most chains or BBQ at other places really does not even compare to what’s available in Austin with little to no wait at all and some are even open at night (it’s a BBQ miracle). No need to wait four hours, no chains, no poor substitutions for this amazing feast. People, you can do better. Much better in Austin. Which is why you present to you these 7 fantastic alternatives to Franklin’s. Enjoy! If we left any off, feel free to add them in the comments. 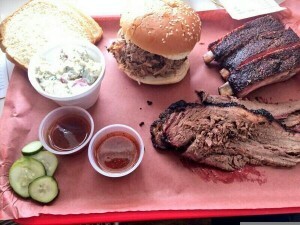 While I almost hate to give it away Freedmen’s is still by far my favorite BBQ place. 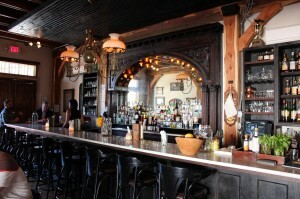 The reasons are numerous including for one being an actual restaurant you can sit and dine-in with a fantastic bar which is an antique imported from Brownsville, and yes I did say bar. This means they not only serve drinks, but some of the finest that are available with a special whiskey of the month, every month. Being on West Campus of University of Texas is also much more appealing to me than having to traverse the East Side if I don’t have to as well. 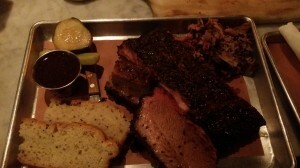 The Holy Trinity here is absolutely amazing with a brisket that contains both very juicy and lean combinations, ribs that are literally fall off the bone good, exceptional pulled pork, and sides that are made fresh and served in a mason jar (I have yet to be there when the sausage was available, but I unsurprisingly hear great things). Making it even easier is the fact that they’re open until midnight. While I’ve found they can run out of meats and sides once you go in after 9PM, this is still a fantastic option to have especially so close to downtown or the UT area if you live there. As a bonus the bread and pickles are not your typical out of the bag variety, but are house-made with a rich difference in taste and texture. Did I mention desert? If you somehow have room on your plate after the food they offer they also have some of the best deserts that exist such as the smoked banana pudding. Service is generally excellent, and now and then they have some amazing unique sides or specials to devour. This is one place that is a must. 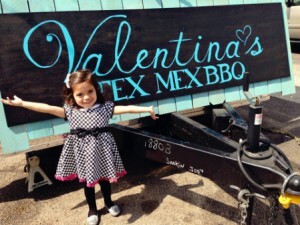 If the East side isn’t your thing don’t worry you can also get amazing BBQ on West 6th street as well. choice with delicious pulled pork, brisket, and the option to get it in a taco! 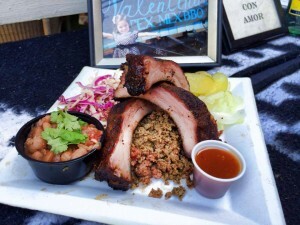 It also happens to be one of the few BBQ food trucks open on Monday and for launch as well as the evenings every day of the week. Did I mention the wait time? You’re looking at 0-5 minutes as this gem continues to be unknown. While not exactly as unknown as it once was the wait is also not as bad as Franklin’s, and it is probably the closest’s to Franklin’s there is thanks to pit master John Lewis. Bottom line: melt in your mouth seems like some sort of understatement in this sinful BBQ heavenly masterpiece of brisket. The line’s are definitely starting to get a little worse as it ranks up higher and higher so go now while you still can. That said, some days are better than others (weekdays usually) and there are times when there’s little wait. Try it now! You won’t regret it. 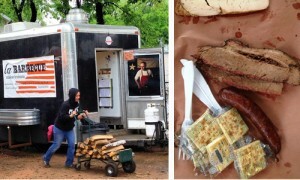 Micklethwait Craft Meats is best known for their amazing sausage which they delight in making, but they’ve absolutely stepped up their quality of everything else. 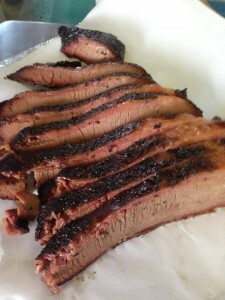 Brisket is moist, smoked slowly for 8 hours, pork loin is delicious, ribs tender and delicious, and all the sides are made by hand including potato salad, coleslaw, and beans. Home made deserts are also served including pecan pie, moon pies, and recently added lemon bars. The price might be a little more here, but it is definitely worth it. 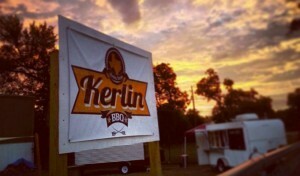 The biggest’s up and comer seems to be Kerlin’s BBQ for sure with absolutely amazing pork ribs, fantastic brisket that combines both moist and lean, coleslaw and sides that are out of this world. The top feature besides the amazing food is that the wait hasn’t caught up yet to the quality. Check it out now before you’re standing for hours! You won’t regret it. 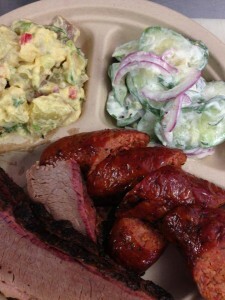 The food truck by Corner Bar is very unassuming, but trust me on this, you need to get yourself to Brown’s BBQ. With almost no wait, amazing hours and availability, fantastic sides, mouth watering brisket absolutely fantastic cobbler, and prices that you can love. Not to mention that this place is opening at a reasonable time from 11AM-11PM Tuesday through Saturday with free BBQ if you buy from the Corner Bar, how exactly can you go wrong? 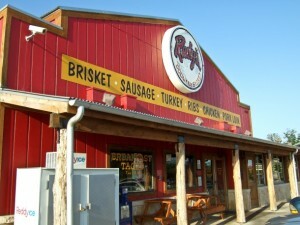 While some might not like that there’s a chain BBQ restaurant on here, for a chain Rudy’s does BBQ better than anyone. They provide a wide variety of cuts of meat from lean, moist, and very moist, and provide good selection of sides, beer, and cuts of meat. If you’re looking for a restaurant rater than a food truck you can sit down at Freedmen’s is my top choice, but if that is unavailable or it’s a closer drive Rudy’s is definitely one of the best BBQ chains that does exist with plenty of locations and amazing customer service. One drawback is that ordering by the pound is not my favorite for BBQ than a combo, but if you’re looking for something after hours it’ll more than do. This is a huge step up form Dickey’s or Bill Miller or other chain options that exist in Austin. I read this article and found it very interesting, thought it might be something for you. 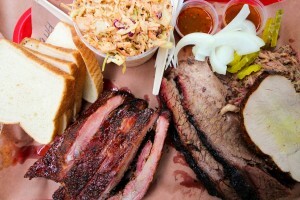 The article is called 7 Best BBQ Places With No Wait and Open at Night and is located at https://www.austincurrent.com/best-bbq-no-wait-night-texas/.